Welcome to NIRI Silicon Valley’s 2018-2019 Season! On behalf of the entire NIRI Silicon Valley (NIRI SV) Board, we all look forward to bringing you another outstanding program year, building on the success of last season in which we brought back our IR Roundtables and IR Fundamentals Workshop; hosted our popular and well-attended Spring Seminar, the largest IR educational event on the West Coast; and delivered another outstanding series of our well-regarded educational luncheons. We also conducted the first-ever Bay Area IR Compensation survey in conjunction with NIRI San Francisco to help members know how they stack up versus others in the Bay Area. 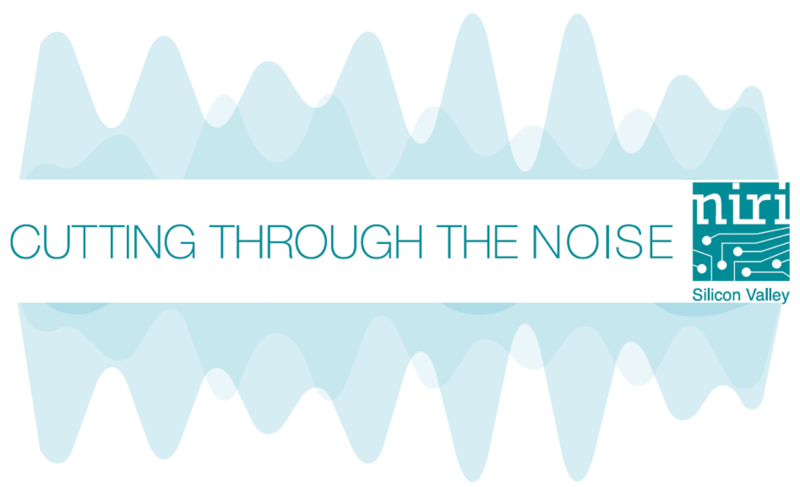 This season we are focused on “cutting through the noise” to help our members to differentiate their companies and build their own professional brands. Along these lines, first up in our educational luncheon series is an IR Career Panel that takes place, October 5th. If you haven’t registered and would like to hear from fellow IR practitioners how they are shaping their respective IR paths, click here to register, as we would love to see you there! New this season are Senior IRO Events and Networking Happy Hours to provide our members with additional opportunities to learn from and connect with each other. We hosted our first Senior IRO luncheon in August and are planning the second for January 2019. We are also creating a Senior IRO online group. If you’re interested in joining, please email programs@nirisv.org. Look for the first Networking Happy Hour in early December where your colleagues will gather to share IR expertise, swap IR war stories, and drink a few libations. We are planning more such events in 2019. “Cutting through the noise” will also translate to our communications with members, particularly making it easier to get information and confirmation surrounding our events. To that end, we plan to implement new targeted methods of simple communication, leveraging technologies like SMS and In-App notifications for our NIRI SV App. If you don’t have the NIRI SV App yet, please download it from your respective App Store by searching “NIRI SV” where you will see this option below. We have a broad range of talented investor relations professionals in Silicon Valley – from corporate investor relations officers, to strategic investor relations counselors, to innovative vendors. As many of us live in Silicon Valley and work in San Francisco, or vice versa, we created the Northern California chapter which provides membership to both NIRI Silicon Valley and NIRI San Francisco. Recently the Northern California chapter reached 100 members and continues to grow as people take advantage of both chapters’ discounted (or free) events and benefits. Questions or suggestions regarding Silicon Valley or Northern California chapters? Please email membership@nirisv.org. Want to learn more about your fellow members? Click HERE for a Membership Breakdown presentation. That’s some of the feedback we’ve heard on our recent NIRI SV events and we believe our upcoming season of events will be equally valuable and engaging for our members. If you’d like to add an event to your calendar, just click on the date and a calendar invite will automatically appear. We’d love to see you there. Wrapping up, I’d like to thank the NIRI SV Board. I’m on year seven working with the Board and am continually impressed with the knowledge, openness, and camaraderie of my fellow Board members. And, the laughs! Planting a seed here too, as there will be a couple open spots available for the upcoming 2019 – 2020 season…if you’re interested in bringing your talents to the chapter and getting to know more of your fellow chapter members, please don’t hesitate to reach out to one of us to learn more. On behalf of myself and the entire NIRI SV Board, I’d like to thank all of our members for their support and engagement and for making NIRI Silicon Valley such a vibrant, vital chapter. We are all looking forward to a fantastic 2018 – 2019 season!